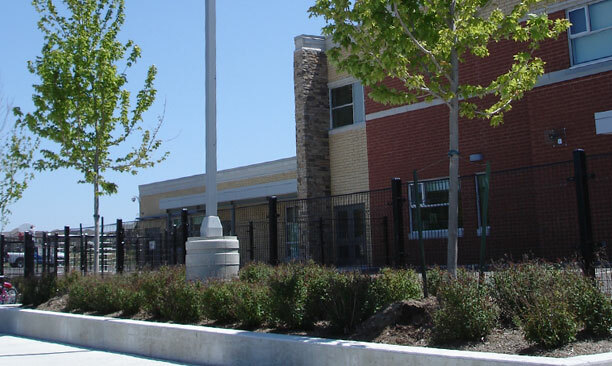 Schools and Daycares - PMA Landscape Architects Ltd.
PMA has extensive experience working for the Toronto District School Board and Toronto District Catholic School Board, providing full services from master planning, detail design and through to preparation of tender documentation and construction administration work. 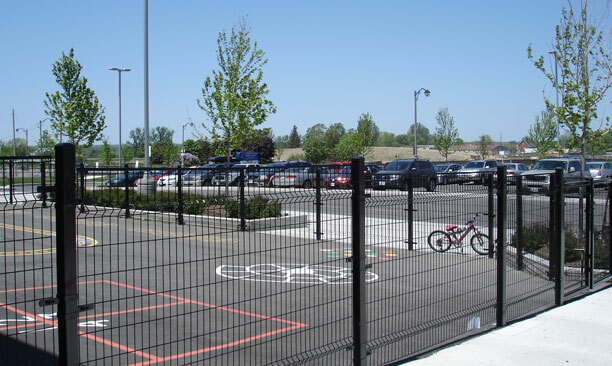 PMA has both worked under the guidance of a Project Architect, as well as directly for the school board representatives, and their steering committee. 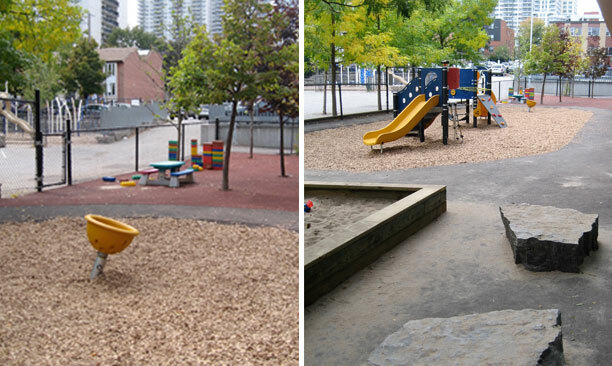 Skilled and experienced in developing play environments that consider the whole realm of active and passive recreation, PMA integrates the long-term operational consequences in our upfront design. 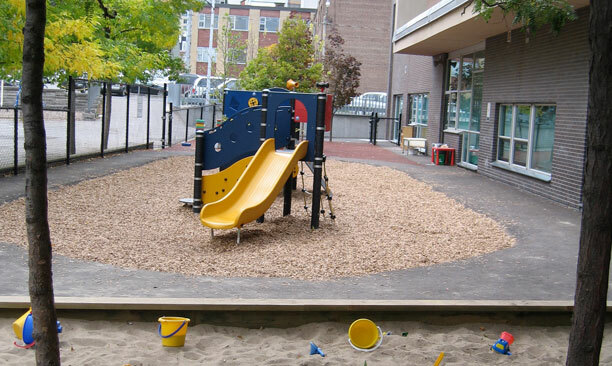 In conjunction with several of our school projects, we have also designed numerous outdoor daycare playgrounds from infant to preschool ages that meet Ministry guidelines and the current approach to natural play environments. PMA has assisted in developing guidelines for innovative and educational play for school play environments. 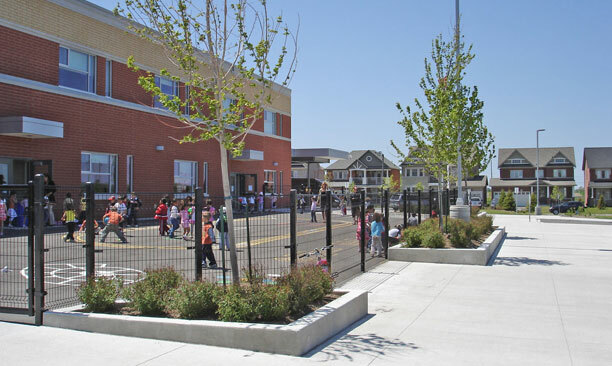 Commissioned by the Toronto District School Board, PMA redeveloped the existing playground environments at nine schools in the downtown west area of the City. The goal was to transform the existing play spaces into Exemplary Playgrounds that will be imaginative, social, safe, educational, and green.